Finding the right kind of footwear to work out in can be a difficult task. Indeed, one that can take weeks, months even to find the right pair. There are countless exercises out there for one to try too, which only elevates the difficulty. We don’t blame you in the slightest for not wanting to look for yourself; it can feel like a slog sometimes to think about the pages upon pages of shoes there are out there. In this article, we are going to be covering some of the best workout shoes for women so that you don’t have to. This is an article written by women, for women through and through (just so you know that this article is as authentic as possible). We workout most days of the week, so having the right sort of kit is essential in working out and working out effectively. We have worked tirelessly over the past couple of weeks to bring you the best workout shoes for women. Our process was thorough with every product you see here having gone through vigorous physical testing to make sure it was legit and worth checking out. If anything we want this article to be helpful, so even if you don’t find what you’re looking for you at least know what to look out for and why! 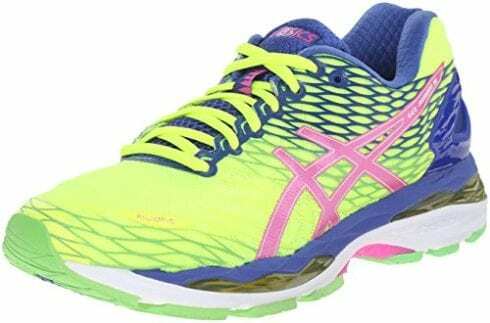 View the Best Workout Shoes For Women, Below. How did we Assemble our List? When Should you Replace Workout Shoes? How to keep Shoes from Slipping off Heel During a Workout? 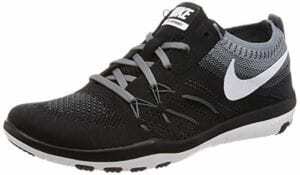 How to Double knot Workout Shoes? When we were putting this list together, we understood that there are a lot of different workouts available right now, hence why the shoes listed below fit into multiple categories. Weightlifting, cardio, CrossFit: all examples of some of the activities you can participate in with these shoes. Try not to think that this list is in any order. Each shoe is great in its own right and completely randomized in terms of the order in our list; judge each shoe on its own merits, and you’ll find what you’re looking for! The first shoe featured on our list here comes to us from Nike — a very known name in the world of sportswear. This synthetic shoe is one of great power and durability, certain sites advertise this shoe as a hiking shoe specifically, enabling you to move across the toughest terrain without any limitations to your movement. Available in a mirage of different colors, Nike has spared no expense when it comes to the fashion elements of this shoe outright on top of how well it handles high pressure. The power you can generate while in these shoes is remarkable, no matter where you are, you feel like a workout machine! Are you someone who focuses on gymnastics over any other activity? Brooks has just the shoe for you. 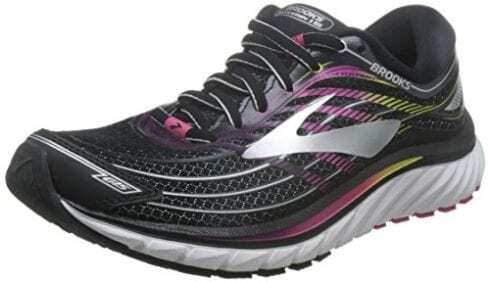 Their Glycerin 15 is a shoe built for flexibility, just look at the shape of the shoe, and you’ll see that it can handle a lot of stretch and pull. Complete with 3D sketch print, Brooks has made this shoe to be breathable as well as snug on your feet. Gum rubber is the material used as the sole of this shoe, a material used in most shoes of this nature, the only difference here is the heel is raised a little higher off the ground. 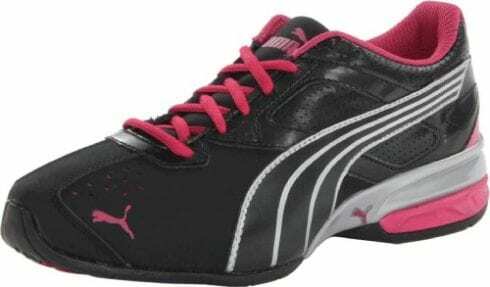 Make no mistake about it, this is the ultimate shoe for anything gymnastics related! 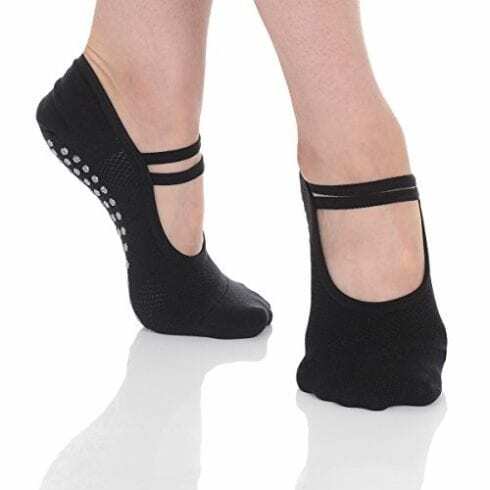 Something a little different but still just as effective, if you are someone who participates in ballet a lot and are looking for something consistent as well as reliable, then these non-skid socks will be for you. Slipping easily onto your feet, these socks allow your feet to grip the ground effortlessly. On the bottom of the socks, you’ll find small grey circles, these help in establishing friction with the floor so that you may get better traction. The goal with these socks is to make you as light as possible on your feet with no disconnect to the ground. Great Soles stress that these socks are incredibly durable compared to other skid socks out there, and after trying them out for ourselves, we’d have to believe them! If ballet is your forte then these will see you through many sessions before dipping in quality — in fact, they might not dip at all! Run, run, then run again till you can’t run no more! With ASICS gel-nimbus 18s you can do simply that. These are the quintessential running shoe, the kind made from fluid fit technology, combining multi-directional stretch mesh with stretch reinforcements. A shoe that actively applies itself on the fly to match that of the foot of the person wearing them. Available in a flurry of different colors, this shoe stands out almost instantly given just how effective it appears at face value (and boy does it live up to the hype once they’re on your feet). Quality of this kind cannot go unnoticed, if you are an active runner then these will be the shoes for you! Puma, one of the most recognizable names in the world of athletics. With their Tazon 5 shoe, you are given reels upon reels of breathability. 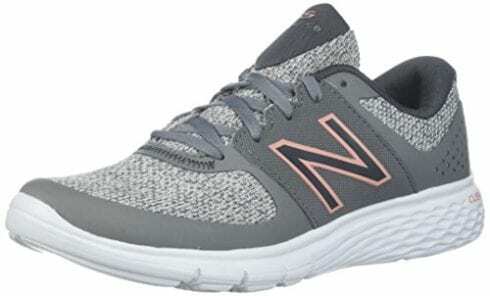 This is a shoe that is listed as a cross-trainer shoe, but after testing it out for ourselves thoroughly, you could easily wear these shoes for general exercise/some light running also. Made from various synthetic materials, this shoe is available in multiple colors for you to choose from, featuring the iconic logo leaping up the tongue of the shoe as well as the toe! It’s hard not to fall in love with this sort of shoe, it’s as lavish as it looks and does its job perfectly! The word effective comes to mind when thinking about the next shoe in our list here. Reebok’s CrossFit nano shoe is a masterclass in design and performance, a shoe that offers a lot more than what you might expect! Defying your expectations is just part of what the Reebok brand do in our experience. This is a low profile trainer, meaning you will generate a lot more power yourself from the ground up. The gum rubber sole provides the user with excellent traction on the ground also. This is a very flat shoe, which will help sort out your posture! Reebok comes through again with another expertly crafted shoe, the kind that will have you exercising for hours on end with no signs of slowing down! ASICS return at our seventh spot here with the follow-up to their nimbus 18’s. How this shoe differs from its previous iteration is relatively small aside from the changes in the physical appearance of the shoe. What this shoe does a little better is it helps relieve tension around the backs of your ankles, where your achilles sit. One of the most common injuries you see with working out is from this area, so the Nimbus 19 definitely helps in that regard. Again, this shoe is available in a mix of different colors for you to choose from. The achilles support was the main reason as to why we’ve included the Nimbus 19 in our list here. 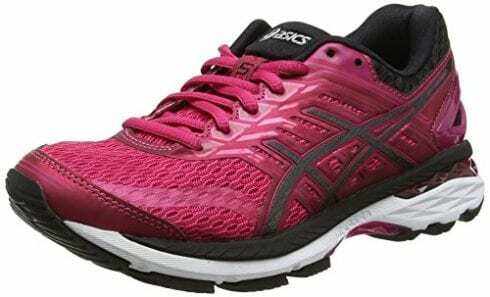 Yet another ASICS shoe for you, one that’s just as qualified as the others we’ve included here. 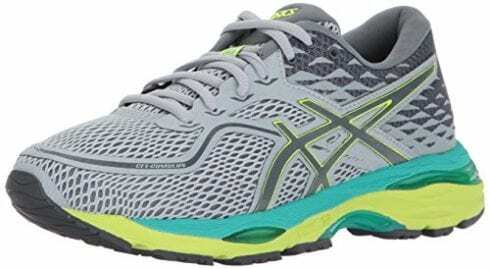 Their gel cumulus 19 shoe is one that actively works in making you workout just a little harder. The flat sole will have you getting more out of each step. Appearance-wise, this shoe might appear more like your running shoes of old, know that this is just a trick, as this shoe has all the inner-workings of any other modern running shoe! If we had to pick one shoe out of our list here as our favorite, it would probably be this one! This shoe is the perfect example of there being beauty in simplicity, it’s a fantastic shoe for any runners out there! Looking for something simple? 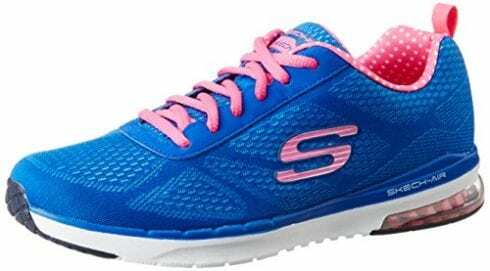 Skechers have just the thing. This shoe is one that’s a little bit more fashionable than some of the other shoes we’ve included here, a shoe that you might wear when working out at home or at a spin class. Fitted with a flexible sole, you’ll find that there’s plenty of uses for this one. The low heel found at the back of the shoe will give you that extra push you might need to get the most out of your workouts. If you like to work out casually, then this is one for you. A very simple shoe to help you work out on and off, quite a basic shoe with a lot of great features! Last but certainly not least, we have New Balance ’s WA365v1 workout shoe, a shoe made from synthetic materials and textiles. This is a shoe very similar to the previous entry in our list, meaning this is a shoe you might wear casually when training at home or in the gym, exerting not a lot of pressure onto them. Gum rubber is used on the bottom of the shoes, providing great traction on the ground beneath you. A shoe that’s available in countless colors, if you are looking for something robust and easy to slip on then these are for you! Stylish as well as rather easy to slip in and out of, the perfect shoe to have around, a very reliable product indeed. Welcome to the buyers guide section, a section where we will be going over a few questions you might have after seeing what we had on offer above. In this section, we will also be covering how we ended up with our list here also. Know that at some point we were rather clueless about this sort of stuff, it was only when we started surrounding ourselves with the culture, that we became experts in the field. We understand that there are countless other shoes out there for you to try. Our list is not gospel, so if you are going to look for yourself, you should at least know where to start. Go with some of the notable brand names that you recognize. Reebok, Adidas, and ASICS all offer top quality products with relatively conservative price points. User reviews on sites such as Amazon are good reference points if you want to see what customers who own these shoes have to say too! Related: The perfect pair of shoes for squatting! Our list is the product of around three weeks of work. We began with nothing more than an idea, one that we would flesh out properly by surrounding ourselves with fellow female fitness enthusiasts! Having multiple women working on this article at any given time allowed us to rid any biases we might have had for a specific shoe/brand. Having a handful of women working on this article definitely help during the first stage of our project here. 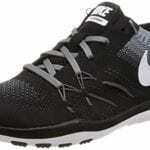 Sourcing a diverse list of shoes that appealed to various different exercises was the first step. The internet, magazines, and word of mouth all played a significant factor in helping us find around 30 shoes that we felt were fit for this sort of project. Each had to hit a certain threshold for it to be eligible for this sort of list; it had to be comfortable, affordable and have defining attributes. From here we all met up and discussed our findings as a collective group. We knew that we wanted our list to be around 10 products, so trimming as many products as possible was our next task. Any shoe that was too similar to those that we deemed better were taken out of contention. This helped eliminate quite a few products from our list — it was important to us that we created a sense of variety, so a list of more than three Reebok products would have gone against that. At this point, we had around 14 products, products that we would then test ourselves firsthand to see how they performed. Each shoe was tested multiple times by more than one person so that our results were thorough. 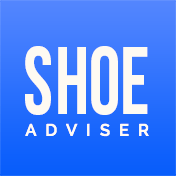 We rated each shoe accordingly, keeping in mind the quality, durability, and flexibility of the shoe as well as what other attributes the shoe brings. Testing each shoe allowed us to analyze which were better suited for an article such as this. Again, we wanted to hit multiple beats in one go, so finding shoes that fit multiple forms of exercise was vital for us. Once the testing process was complete, we then met up again and formed the list as you see it now! We tried not to go back and change a lot about our list once it was made; we’re happy with what we ended up with and wouldn’t change it for a thing! To keep your shoes tidy and relatively smell-free, you should be rotating between multiple pairs of workout shoes every couple of days. If you find that you train very sparingly, then removing your shoes and keeping them somewhere dry should suffice, washing them every couple of weeks. If you are working out multiple times a week, then you should be replacing your shoes every couple of uses for obvious reasons. Constantly wearing the same pair will begin to make the sole of your shoe a little less effective as the traction will rub off; yet another reason as to why you should be replacing your shoes every now and again to keep them fresh for your next use. If smells persist, then there are sprays and other methods you can try to keep your shoes clean. There are countless articles out there that go over this in greater detail. Try tying your shoes tighter than you normally would if your shoes are coming loose constantly. Another thing you could do would be to purchase shoes that are a little smaller than you are used to. For example, if you are a size 6 shoe, maybe dropping to a 5.5 could help you out if you find that the shoes you are wearing are constantly slipping off at the heel. If this issue persists, then you might want to consider buying another pair of shoes. 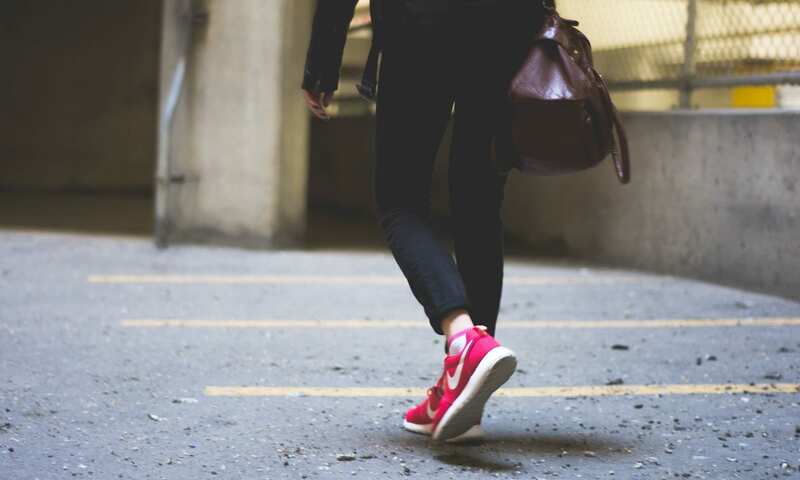 Yes, you might have found the perfect pair of shoes, but if your shoes are constantly coming off your feet, this poses a danger, especially if you are exercising using weights that could cause some serious physical harm if dropped onto feet or other parts of your body. It’s never too late to learn how to double knot your workout shoes. Start by tying your shoes in whatever way you see fit beforehand. From here grab both loops and cross them over, tuck one of the loops within the gap and pull. Doing this successfully will double knot your shoes and should keep the shoes on your feet as you workout. If this isn’t enough then maybe triple tie the knot? There are plenty of different knots to try if double knotting doesn’t work. Look online, and you’ll find a lot of articles that all provide information on some of the best knots out there for you to try. Remember, try not to tie your shoes too tight as you can easily tie them too tight to the point where you can’t get them undone; common sense is a sentiment we’d like to promote here. Try to wash your shoes regularly if you are working out multiple times a week. Most workout shoes are machine washable — check the label if you aren’t sure whether or not your shoe fits into this category. We would recommend having around three pairs of shoes so that you can cycle between them, allowing you to continue working out, only in a fresh pair. Working out in the wrong types of shoes when lifting weights can directly impact your form. You want to be wearing the flattest shoes possible so that your body takes all of the weight during this form of exercise. Wearing trainers with an incline will cause your body to naturally lean forwards which will knock your form quite a bit. 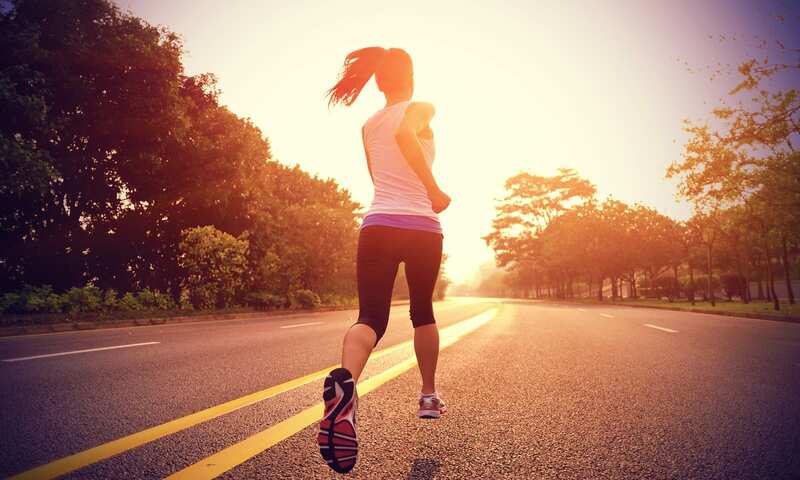 We hope you enjoyed our article on "10 Best Workout Shoes For Women in 2019", if so, please share and rate it.